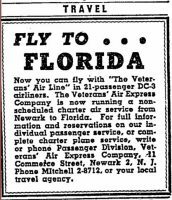 Three telegrams in three days kick off 1946 Veterans Air Express operations base in Florida. Hendricks Field military base to become civilian Sebring Air Terminal? Two months ago (August 2015), I spent several hours with Allen C. Altvater, III — grandson of the man that my Dad did, indeed, meet with several times over the next months of 1946. Small world when you explore it! 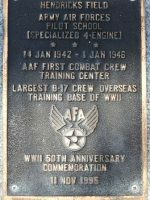 Veterans and a second company, The Eighth Air Depot, figured substantially in the City of Sebring’s calculations and plans for their airfield start up. 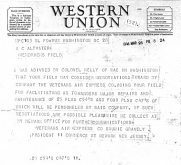 (4) However, the timing and staggered approvals of permanent licensing by the Army of the air field from military to civilian greatly restricted the activities of both companies. And, ultimately, the delay caused unintended outcomes for both – most especially Veterans. But I’m getting ahead of my story. Details, details: Hangars. Cold storage. Personnel. Equipment. Setting up operations required a number of flights to Florida and lining up personnel both locally and back in Newark. It took a couple months before Veterans began any work. Saunie Gravely, in sun glasses (center), flew into Sebring to discuss Veterans Air Express operations base. 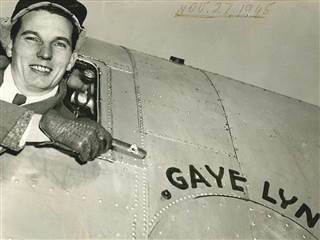 The DC-3 is likely the GAYE LYN, but unconfirmed. 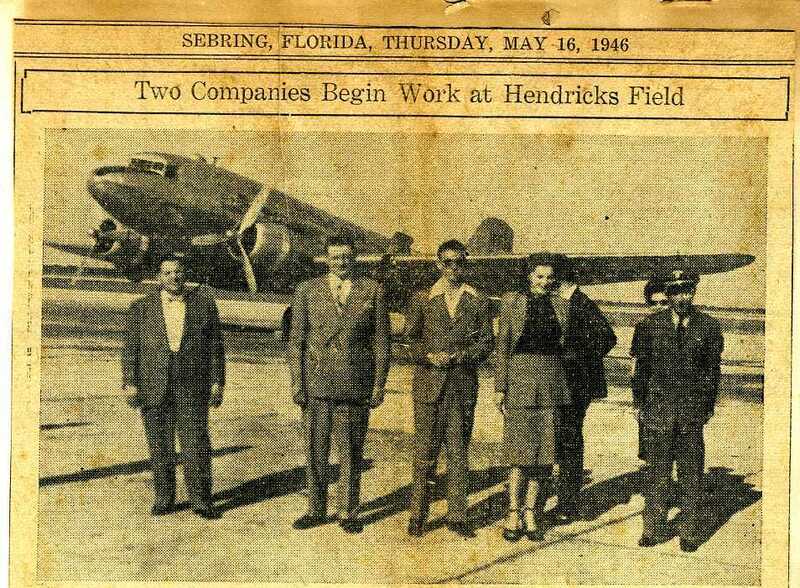 PHOTO SOURCE: The Sebring American, Sebring, FL, 5/16/1946. Veterans Air DC-4 (aka C-54…not C-56 as captioned in photo clipping). 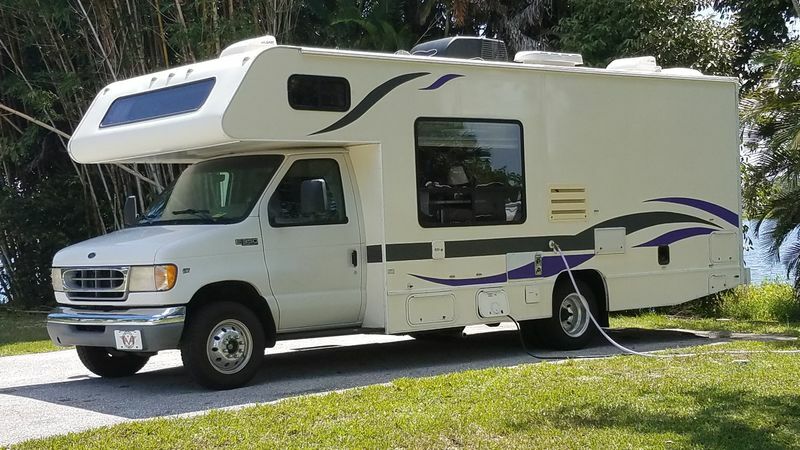 PRESUMED IMAGE SOURCE: The Sebring American. 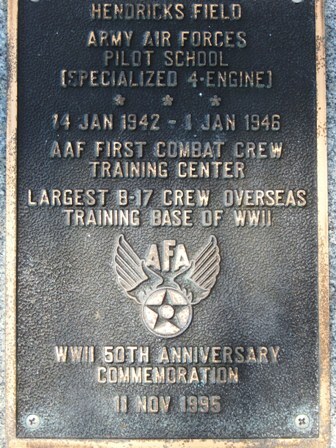 But those “25 plus” aircraft plans for Sebring did not materialize. 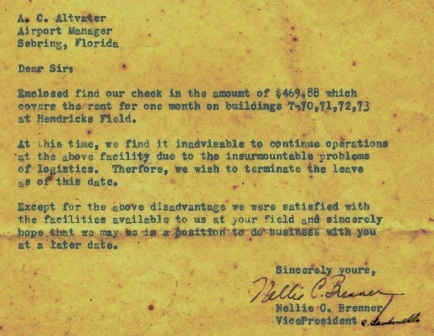 And, at this point, I’m shy on explanations — other than reference in this “termination” letter dated July 3, 1946 and signed by Nellie Brenner, Vice President Finance. 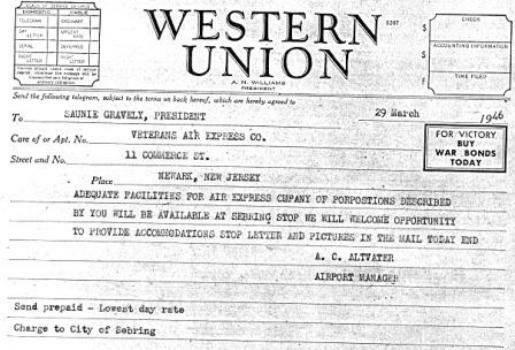 The letter to Altvater, Sr., gives “the insurmountable problem of logistics” as reason for Veterans’ departure from Sebring. 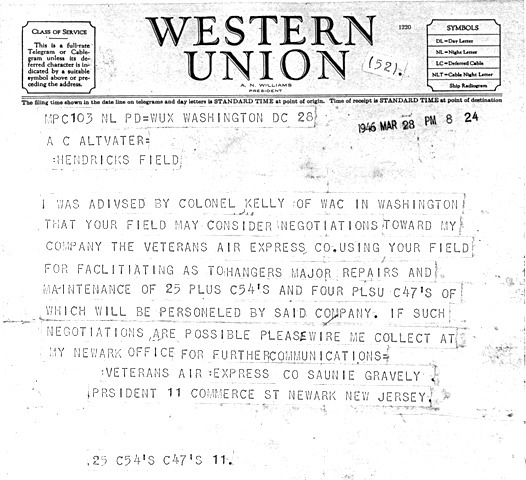 Text of letter dated 7/3/1946. Somewhere along the line, I must determine the rest of this story. I’m guessing (and that’s definitely not my job) that it was a combination of the Army not moving forward fast enough and as-yet-unknown (to this Researcher) changes within Veterans. 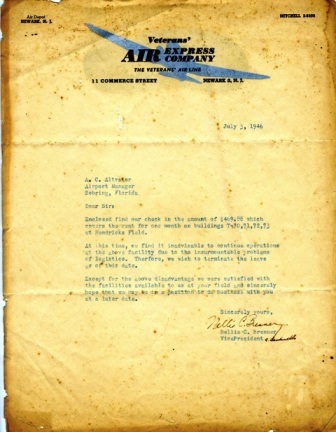 What I do know is that less than one week prior to the date of this letter, the first DC-4 overhaul was completed at Sebring and the press reported a second aircraft was expected “this week for major overhaul from Newark.”(9) That did not materialize either. All newspaper article titles are in quotation marks and are from The Sebring American [Sebring, FL]. 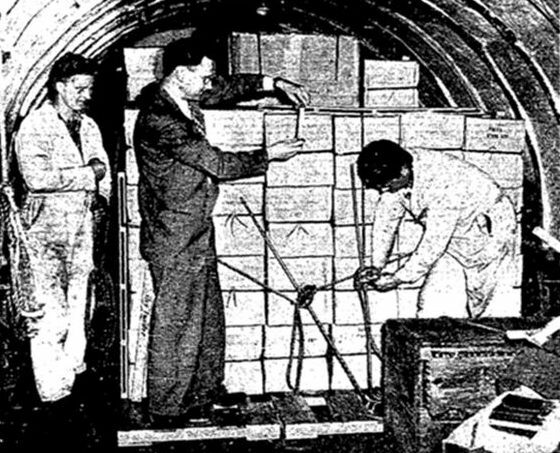 It should be noted the paper was renamed (a number of times) during 1946 by the owners, The Perry Group – which explains at least one photo caption reference to The Highlands County News. 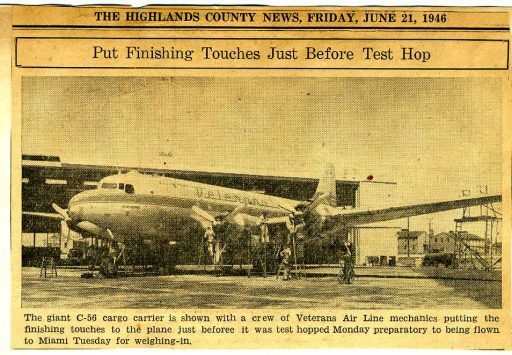 (1) “Veterans Air Line to Carry Highlands Truck.” 27 June 1946. 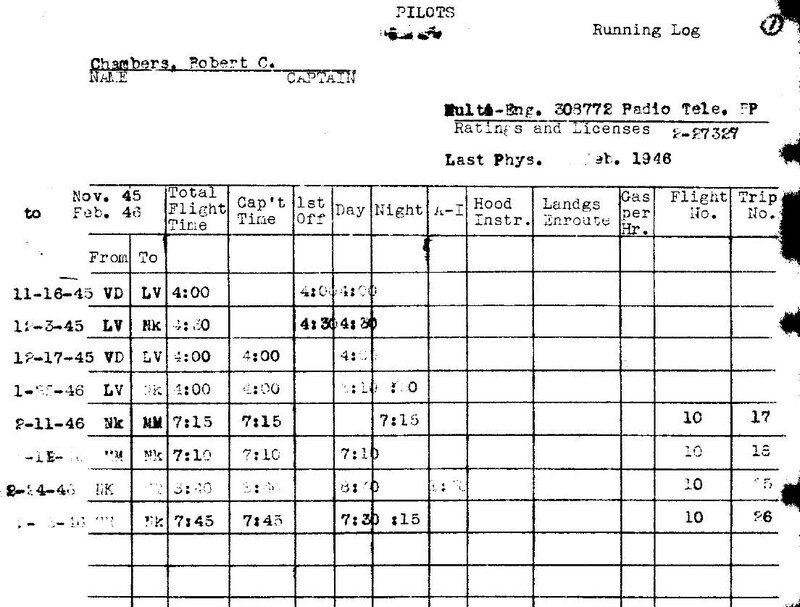 (2) “Airport Companies Start Active Work.” 7 June 1946. 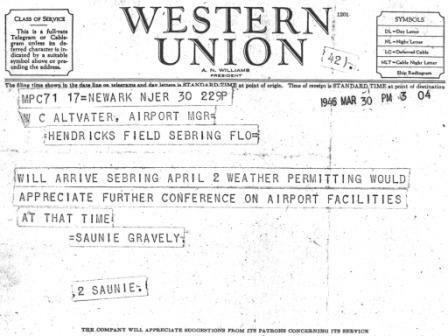 (3) Altvater, Allen C., Airport Manger Sebring Air Terminal 1946-1959. From personal files & collection of papers & documents. 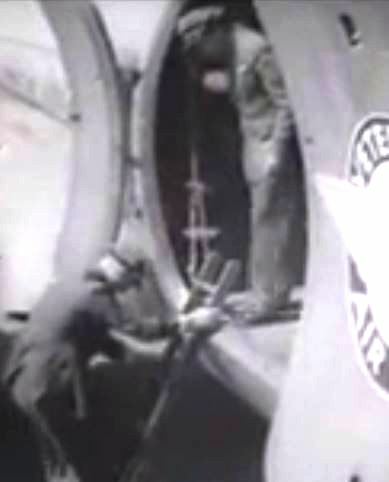 (4) “City Starts Airfield Operations: Eight Air Depot and Veterans’ Airlines Expected to Begin Operation.” 2 May 1946. (5) “Air Depot Starts Work at Hendricks: Veterans’ Airlines Heads to Arrive Tomorrow to Start Operations.” 9 May 1946. (6) Herrick, George. 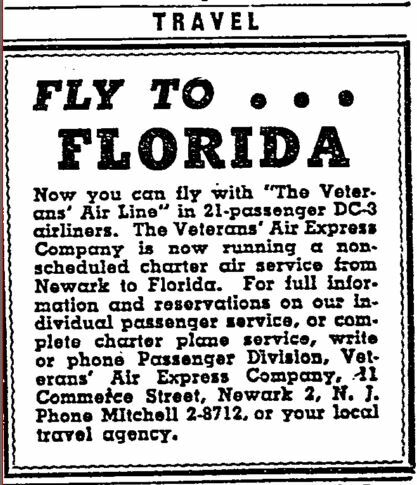 “Veterans Air Line. Flies…Anything. Any Place. Any Time.” Air Transport July 1946: 36-38. 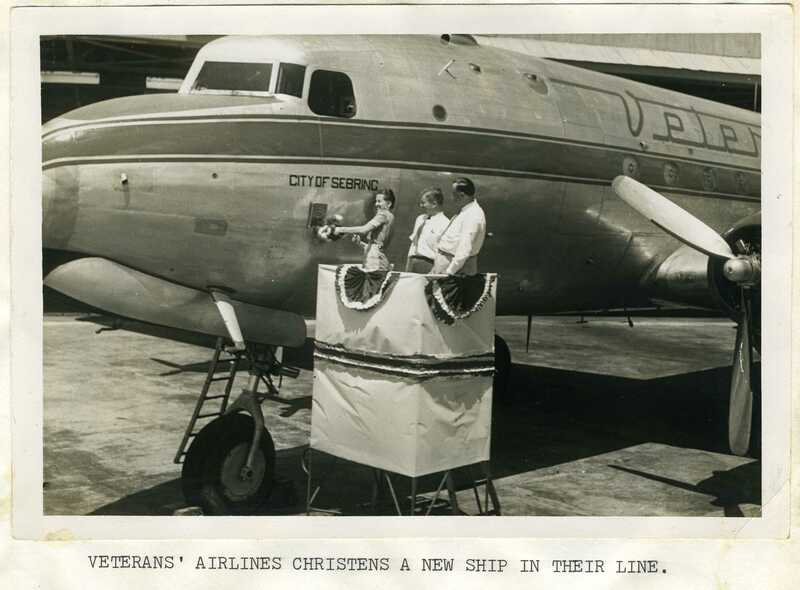 (8) “First Plane Christened on Monday: Veterans Air Lines completes Conversion of First Plane At Hendricks Field.” 21 June 1946.